14 December 2017. Muscat Securities Market (MSM) has signed a Memorandum of Understanding (MOU) with the Middle East Investor Relations Association (MEIRA) on Thursday 14 December, 2017 at MSM Headquarters. Ahmed Saleh Al Marhoon, Director General at MSM, and Alex MacDonald-Vitale, MEIRA Chairman, singed the agreement to mark the start of this collaboration. MEIRA is a Middle East based non-profit organization that fosters openness and transparency in market practice by supporting Investor Relations (IR) and corporate governance across the region. 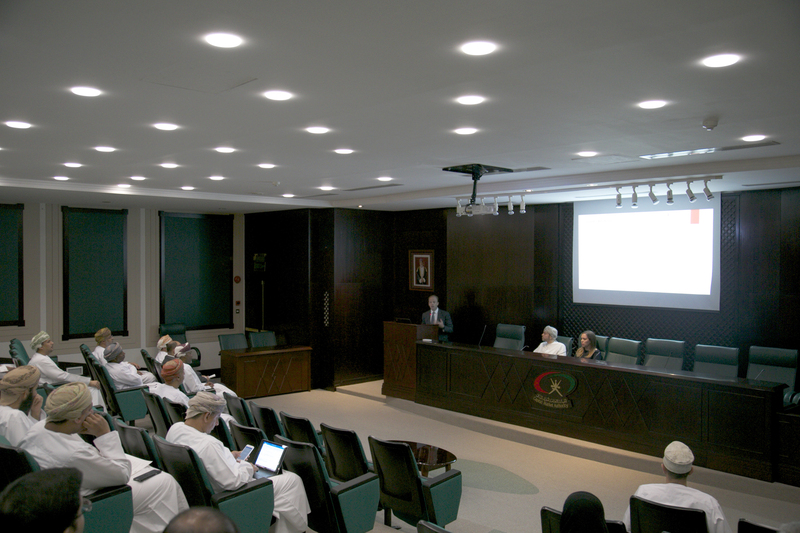 Through the country Chapter in Oman MEIRA works to develop a culture of effective communication between listed companies, exchanges, regulators, advisors and the buy and sell side communities, helping further enhance the attractiveness of the market. “Globally, the IR profession has rapidly evolved into a strategic management function. The pace of regional efforts to step up to and align with international standards is impressive and we are here to help. This MOU is further confirmation of MEIRA’s commitment to the Exchange and our existing and prospective membership, as well as any other stakeholders who benefit from our support. 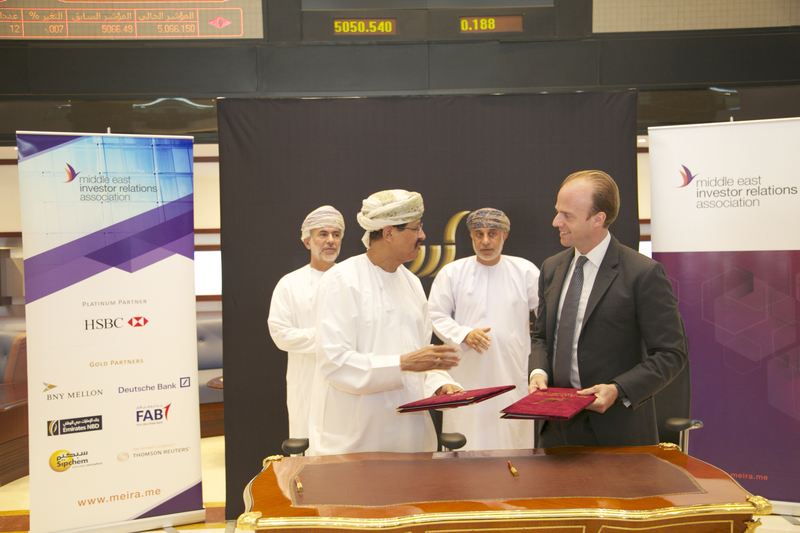 We look forward to long-lasting collaboration with MSM as they further enhance and develop the Omani financial markets”, added Alex MacDonald-Vitale, MEIRA Chairman. The objective of the MOU is to further support the exchange in developing IR best practice and enhancing transparency and sophistication across the market. This event paves the way for a series of collaborative initiatives that MEIRA and the MSM plan to deliver over the next months.